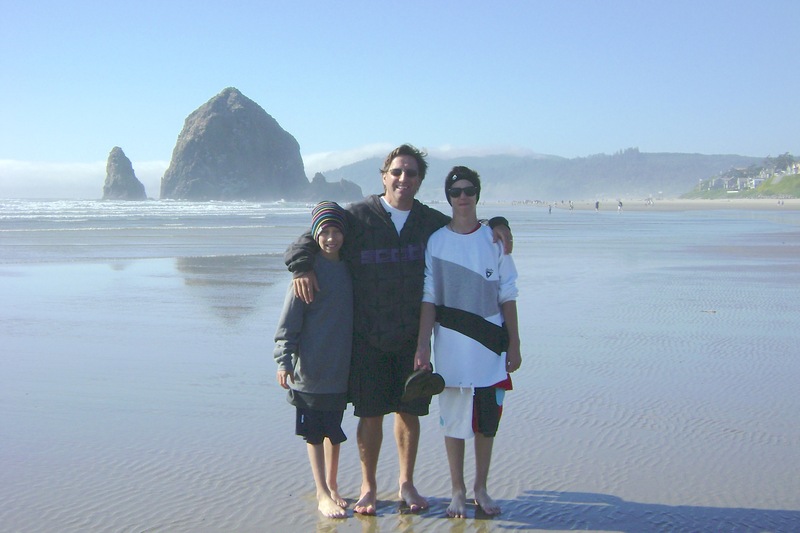 Dad and I and Finn didn’t make it to Cannon Beach, Oregon as we’d planned because your brother became quite ill and ended up in the hospital with viral myocarditis. The last day of our vacation in Hood River was full of telephone calls and texts from Ben and Justin keeping us abreast of what was taking place back home. When Ben ended up being admitted to hospital, Dad and I knew we needed to come home. I know you get this and I’m even thinking that you already know the whole story… as I am quite certain that in some special Willy Angel way you were watching over Ben whilst keeping us safe on our long drive home. Once home and when we learned that Ben was going to be fine, I was trying to make sense of all that had happened and I think maybe I wasn’t yet ready to visit Cannon Beach again. All summer, I was guardedly looking forward to that part of our holiday but as the day crept closer I found myself welling up with tears at the thought of being there without you. It is a beautiful and special place as it was where you saw the ocean for the first time and seeing the ocean was something that you always wanted to see. Just thinking about it made my stomach feel shaky and my heart feel heavier than usual. Knowing that we needed to go North back to Canada instead of West felt right as I knew that home was where I needed and wanted to be. Next summer we will try again to get back to that special place on the ocean; and maybe in another year it’ll be easier. We still take baby steps, Will, trying so hard to move forward when all we want is to go back to when you were with us here. If only we could… you know we would. Miss you little one. More than a bus.